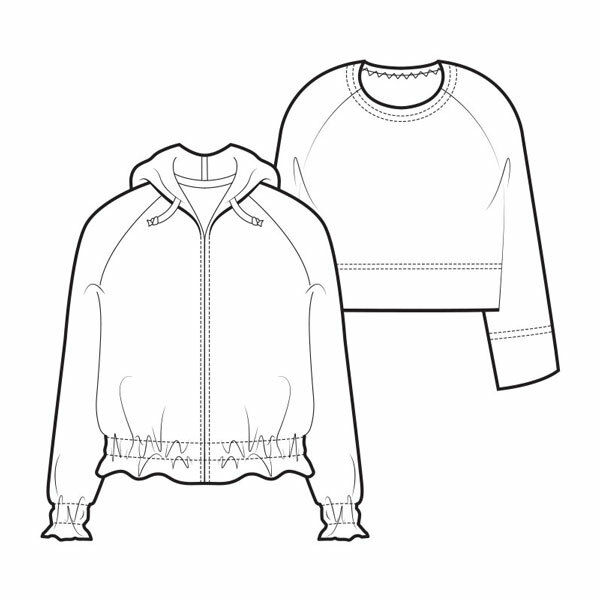 This new sewing pattern features two contemporary jersey tops based on the classic sweatshirt. Choose from a hooded version with beautiful gathered hem and cuff detailing or the simpler boxy shape. This pattern is ideal to use with medium weight jersey and sweatshirting fabrics for the round neck version and for the hooded option choose light to medium fluid jersey fabrics (avoid thicker sweatshirt fabrics for the gather details). This pattern is available in sizes 4-22 (UK).